China National Convention Center (CNCC) has opened officially in October 2009 for its originally intended function – providing international standard, purpose-built convention and exhibition facilities. The Center was an important element in the overall plan for the 2008 Beijing Olympic Games when it served as the main press center and international broadcasting location as well as providing the venue for fencing and pistol shooting competitions.? 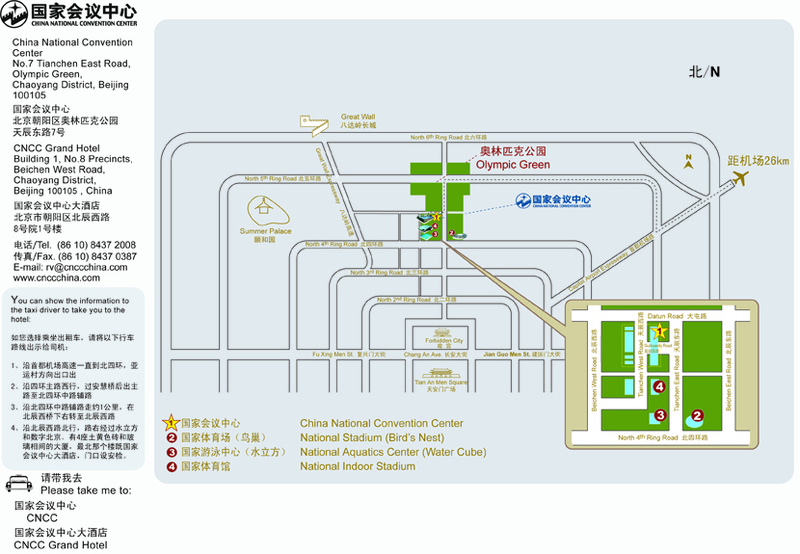 CNCC is ideally located in the heart of the Olympic Green adjacent to the National Stadium (Bird Nest), the National Aquatics Center (Water Cube) and the National Indoor Stadium – all of which are proving popular places for people to visit in post Olympic Games times.